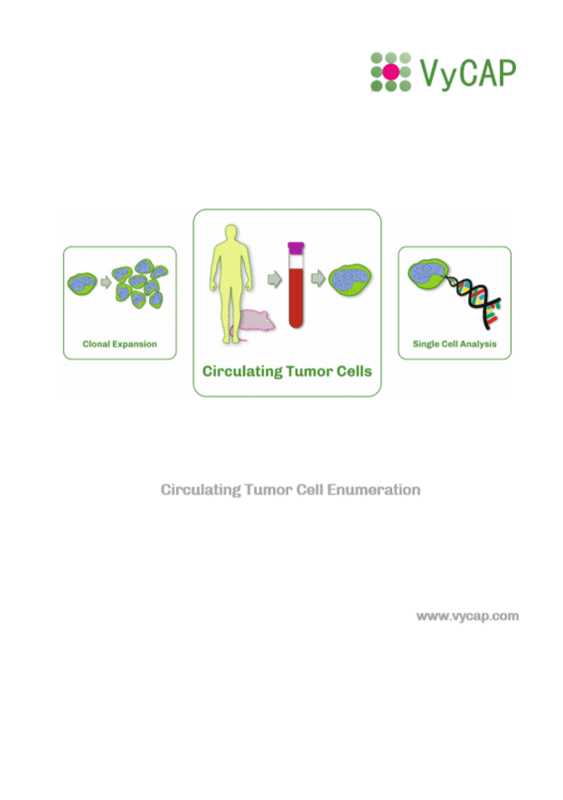 VyCAP’s Circulating Tumor Cells solution is simple to use, requires limited hands-on time and results in high recoveries. This size based filtration uses the larger size and rigidity of circulating tumor cells compared to other blood cells. Counting Circulating Tumor Cells is fast and fully automated if our imaging system and counting software is used. Look at our products and request a demo. Downstream single cell RNA or single cell CTC DNA analysis is possible after isolating the rare Circulating Tumor Cells with the Puncher system. 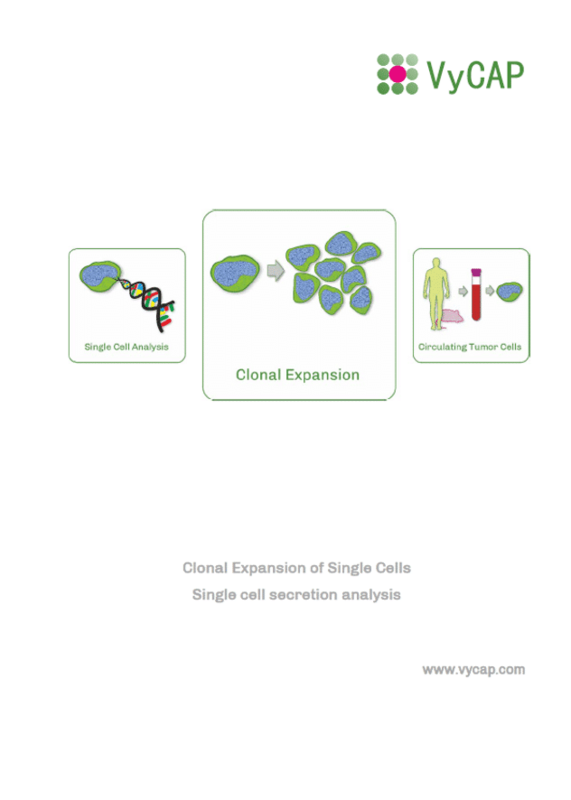 VyCAP’s single cell isolation solution is simple to use, has high recoveries and results in high quality single cell DNA and RNA data. The puncher system is desiged to isolate rare single cells. 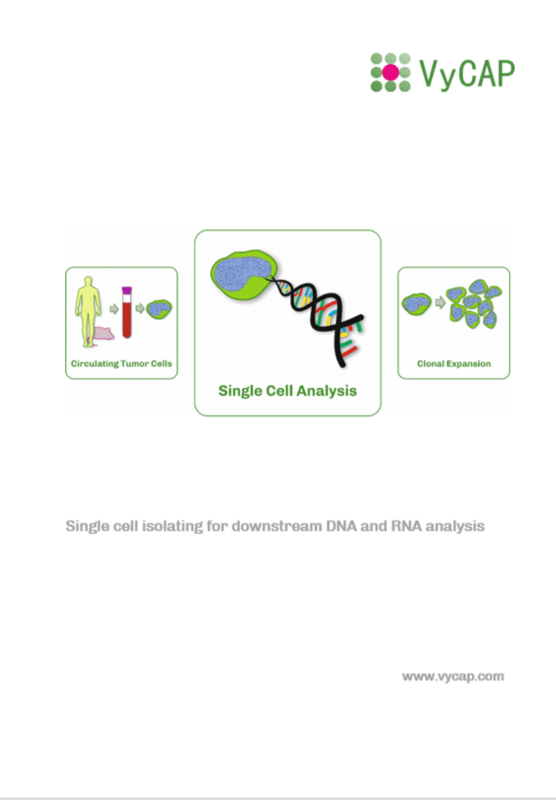 The system is compatible with all single cell down stream analysis technologies. VyCAP offers a solution to collect and analyse the single cell secretion. Single viable cells can be distributed in the microwell chip and incubated. After incubation viable single cells can be selected and isolated based on their fluorescence, morphology or their secreted products. To analyse the molecules that single cells secrete our microwell array containing viable single cells is connected to a capturing surface.